Products Backed by over 30 years in business, Connect Tech has built a solid reputation of expertise in providing engineering design services, delivering unsurpassed technical support, and developing innovative products for embedded applications. 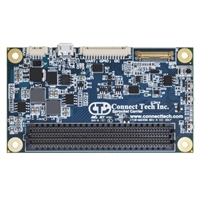 Connect Tech is proud to feature an exciting family of products offering rugged small factor solutions for the NVIDIA® Jetson TX2 & Jetson TX1 modules. Connect Tech’s Spacely Carrier for NVIDIA® Jetson™ TX2 and Jetson TX1 is an ideal product for unmanned vehicle applications, or any application where situational awareness is critical. low cost deployable Jetson™ TX2 or Jetson™ TX1 Solution to the market. Astro is specifically designed to work with the NVIDIA® Jetson™ TX2 or Jetson™ TX1 supercomputer-on-module. 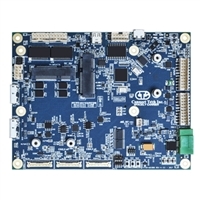 Connect Tech’s Orbitty Carrier for NVIDIA® Jetson™ TX2 or Jetson™ TX1 is designed to match the NVIDIA® Jetson™ TX2 or Jetson™ TX1 module form factor. Connect Tech’s OrbittyBox easily turns the Orbitty carrier (ASG003) into a complete packaged NVIDIA® Jetson™ TX2/Jetson TX1 system. This two-piece metal enclosure is designed to house an Orbitty Carrier (ASG003), NVIDIA® Jetson™ TX2 or Jetson TX1 module, and Connect Tech’s active heat sink. 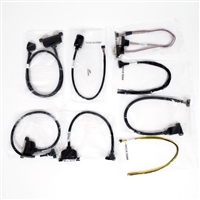 ASG006 Cable Kit: 2 x CBG116 System Cable - Unterminated wires to 20-pin MiniTek w/Latch, 2 x CBG117RJ-45 to Minitek Cable, 1 x CBG104Dual USB 2.0 panel mount to 8-pin MiniTek w/Latch, 1 x CBG191 DB9 to 10-pin Header 2mm.